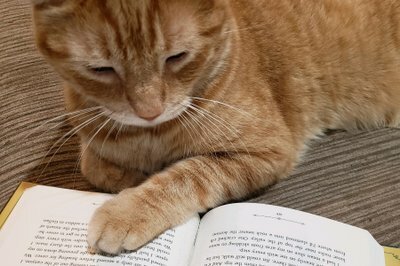 Enter your email address below to receive a notification when The Cat Box starts accepting new sign-ups! 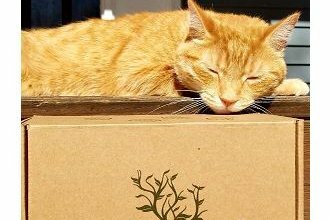 Enter your email address below to receive a notification when The Cat Box is accepting new sign-ups again. Box ships 4 times a year, Dec, Mar, June, and Sept. Our shipping window is the 20th through the 27th of the month. A quarterly box for cats and their humans! 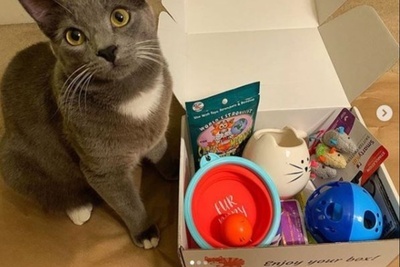 The Cat Box A PURRFECT quarterly box of goodies for your special cat and for the cat owner. 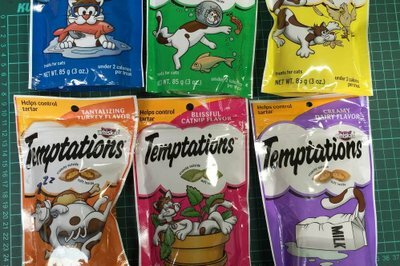 A great mix of cat treats, toys, and cat lover merchandise delivered to your door 4 times a year, December, March, June, September. Shipping window is the 20th through the 27th of the month. The PURRFECT gift for you and your kitty. All sales final. 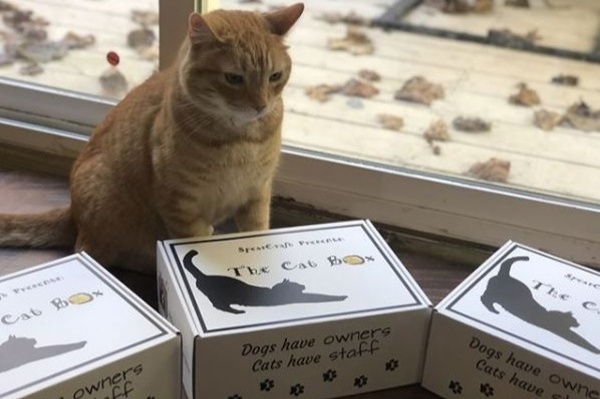 Really is the purrfect box! 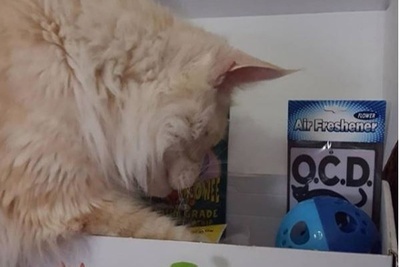 This box was a huge hit for my cats as well as for me. 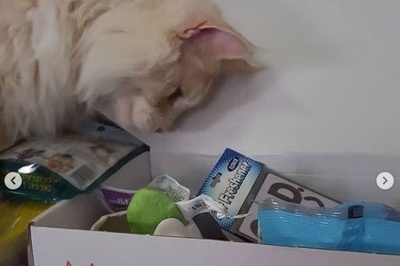 I received not only cat toys and treats but also items for myself. I don't want to give any spoilers but they were all usable items that if you like cats you'll love. 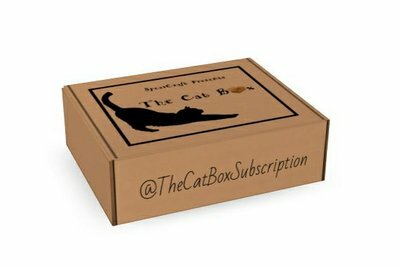 I recommend this box to anyone because its not just items for your cat you the pet owner get items too. 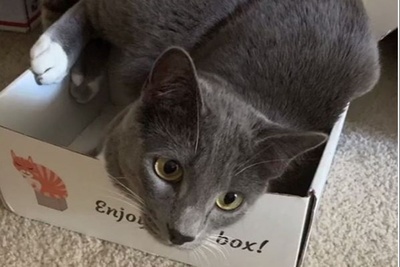 This is unlike the other cat boxes I've tried and I love it!